There should be a sidequest that has you going around searching for various astrological figures. At the end of the quest, you'd run into an inconspicuous goldfish at a place where you were expecting to find lots of crabs. You'd go up to the fish and tell him that you're looking for Cancer. "I was diagnosed three months ago." would be his only reply. If Royston the Goldfish doesn't make a return in Ukulele, I'm giving up games forever. He should get his own game! Well Roysten is (presumably) owned by Microsoft, so that's probably out. But, y'know, say it's just a vaguely defined cartoon goldfish that happens to tap on his bowl three times in succession, and might have been grilled at some point in the past (not to mention smashed by a boulder, eaten by a mole, stolen by an insane baron, placed in a papery garden, stuck on a blocky vehicle, and whacked by golf clubs)... well, who's to say who it is? Last edited by DKVineChad on Sat Mar 14, 2015 8:18 pm, edited 1 time in total. As long as the circumstances are different, there shouldn't be a problem Four taps instead maybe? Go the extra mile? And instead of being trapped under a boulder, it could be...a very large rock? 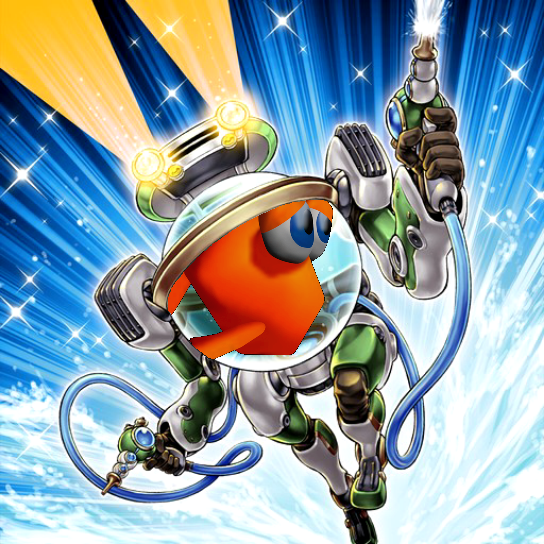 Who needs a returning goldfish character when you can have a returning POOP machine? While I'm sure all of us here would love to see POOP show up, it wouldn't be "returning" since it's never actually had a prior appearance to return from. Alph wrote: While I'm sure all of us here would love to see POOP show up, it wouldn't be "returning" since it's never actually had a prior appearance to return from. I used returning to imply future Playtonic games -- POOP would feature in every one. Lots of POOP can't be a bad thing... I don't think. Cronid wrote: If Royston the Goldfish doesn't make a return in Ukulele, I'm giving up games forever. He should get his own game! Roysten? What's a Roysten? We're talking about an unnamed goldfish that taps on a bowl thrice and just so happened to be grilled and stuck under a boulder, captured by a baron, sent to an island with papery animals, and hit with some golf clubs. Nothing to do with Roysten. Oh, I see. In that case, I agree that POOP would make for an excellent "Playtonic calling card" character who shows up in Playtonic games where you least expect him. But first this game needs a goldfish. Specifically, one that taps three times on his bowl. P00p is the new Mr. Pants. Also Playtonic, look at how many people want an unnamed goldfish that taps on his bowl three times. You've got to put it into the game. I'll be harder then new dentures if a goldfish taps his bowl 3 times. I would be happier than a prairie dog if we got an unnamed goldfish yada yada in the game. I'm pretty sure that they could just use Roysten and Microsoft wouldn't care or even notice. He could be a boss battle and they wouldn't notice. I'm absolutely dead serious, and I'm hoping the entire Playtonic team reads this. I will pledge a disgusting amount of money if you guys promise that a thrice-tapping goldfish will find his way into the game. Seriously, if this were the ultimate stretch goal (over amiibo functionality, a physical release and backwards compatibility with the Virtual Boy) I'd go all in with my money. I mean, how hard is it to convey that your goldfish may or may not have been barbecued, trapped by a boulder, cooked and partially eaten by a mole, kidnapped by a pajamas-wearing weirdo who lives in a haunted house, been on the head of a weirdo living on an island populated by living party supplies and been whacked to a merciless degree with golf clubs? Three taps on a bowl and sad eyes will be enough to convey all of that pain. Bonus points if said bowl is vehicular! Maybe this goldfish could be visiting Ukulele Island® to escape his hellish life? Maybe he just wants to get away from 3D platforming weirdos who absent-mindedly abuse him, thinking he's finally found a safe haven. And then he's put in a deep frier. This thread is hilarious, hello DKVine. If anything, he'd go to Ukulele Island because of clear Kinect Discrimination heh.